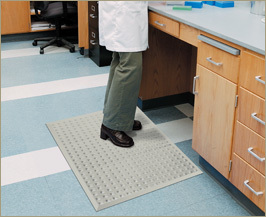 A comfortable anti-fatigue mat for essential, sterile areas. • Tested to withstand extensive sterilization in an autoclave. 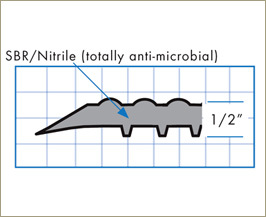 • Fits flat into standard autoclaves for efficient, effective cleaning. 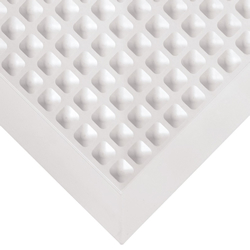 • Solid, non-porous surface can also be wiped clean. • Composed of a resilient, anti-microbial Nitrile compound. 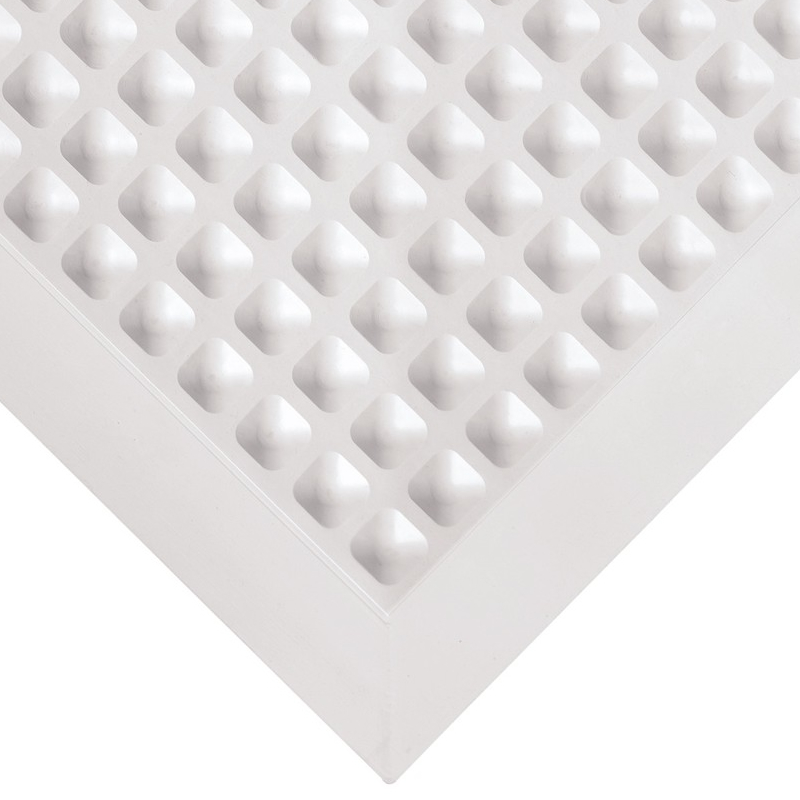 • Domed surface design provides an ideal level of comfort.